Start your healthcare career as an Emergency Medical Technician with our EMT program. EMT’s are front-line, entry-level healthcare providers. 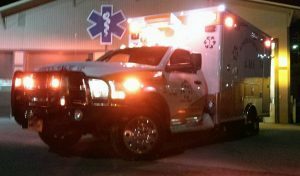 As an EMT, you may work in a variety of environments: transporting patients between facilities, responding to emergency calls, in a hospital emergency room, and anywhere first-responders are required. ENMU-Ruidoso is pleased to offer two Certificate of Occupational Training programs and an Associate Degree in Emergency Medical Services. The Basic Emergency Medical Technician and the Advanced Emergency Medical Technician are one semester programs. The Associate of Applied Science degree is a two-year program. This EMT-B certification level is the foundation level for all emergency medical responders. Upon successful completion of the course, graduates will be eligible to sit for the National Registry EMT licensing examination. Students who have completed the EMT-Basic program are eligible for this program, which builds on the skills from the basic course and affords students clinical rotations as well as didactic and lab work. Upon successful completion of the course, graduates will be eligible to sit for the National Registry Advanced EMT (AEMT) licensing examination. 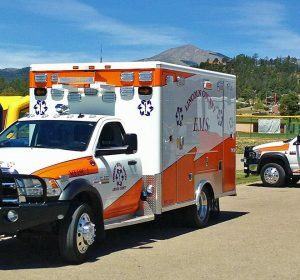 The Associate of Applied Science (AAS), a two year-program, in Emergency Medical Services (EMS) offered by ENMU-Ruidoso is intended to provide students with the skills necessary to pursue a career as a service provider at the Emergency Medical Technician-Basic (EMT-B) or Advanced Emergency Medical Technician (AEMT) level. In addition, this degree pathway prepares student to continue training in the field of EMS and attain both certification as a Paramedic and four year bachelor’s degree in EMS within the state. Students who complete the EMS AAS will be able to perform the duties of an EMT-B or AEMT in both clinical and operational settings. 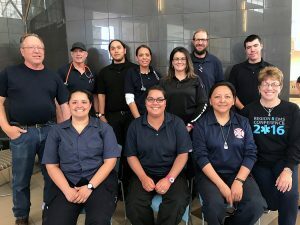 Students will be able to identify and treat life-threatening conditions according to both national and state standards of care and attain employment as an EMS provider in New Mexico. Students have the option of transferring to a four-year university for a bachelor’s degree in Paramedicine, Emergency Services, or Fire and Emergency Services Administration. Click on the links below to view program information. or contact Student Services at 575-257-2120 or 800-934-3668.